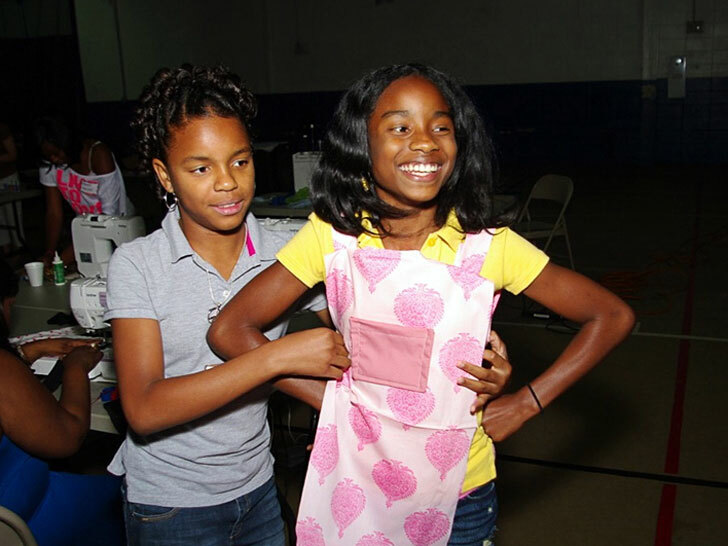 Purl Fashion Camp’s philosophy is simple: Give a girl a dress and you clothe her for a day. Teach a girl how to sew and she’ll be clothed for a lifetime. The enrichment course, held earlier this month in Baton Rouge, is the brainchild of fashion designer Ann Tillage, founder of Purl Los Angeles and Sharmooz. Together with stylist Candra Eloise and several community volunteers, Tillage rallied together a group of 11-to-17-year-old girls from Louisiana’s most underserved communities. Through the generosity of donors such as LACare Louisina, AllBrands.com, and her local YMCA, Tillage was able to share her wisdom, experience, and passion with a new generation of aspiring fashion designers, merchandisers, and stylists. Besides an introduction to sewing, participants made messenger bags and newspaper garments. They even put on a fashion show featuring their creations. Tillage is in the process of claiming nonprofit status for the fashion camp, with additional sessions and workshops planned throughout the year. Tillage is in the process of claiming nonprofit status for the fashion camp, with additional sessions and workshops planned throughout the year. Tillage has secured a large studio for future workshops, but she’s currently seeking sewing machine donations. For further information on registration, donating, or volunteering, email [email protected] or visit Sharmooz.